Our firm provides a full range of bookkeeping services, including general journal and subsidiary ledger maintenance, bank statement reconciliation, and receivables and payables tracking and analysis. Let us design a custom solution that meets your requirements and goals. We can manage bill payment processes to optimize your cash flow. Our team includes several Certified QuickBooks Professional Advisors as well as other experienced QuickBooks users. Let us help you get more out of your Intuit software solutions. Our firm offers complete payroll preparation and payroll tax reporting services. We prepare all federal and state returns and offer full magnetic media and electronic filing capabilities. For clients with Internet access, we recommend our Paperless Payroll solution. Our firm prepares all sales tax filings and offers full sales tax audit representation. We also assist with local business taxes as well as local personal property taxes. We prepare financial statements in accordance with Generally Accepted Accounting Principles (GAAP) for use by banks,contractor's licensing boards, investors, and other third parties. We also prepare financial statements on the income tax basis, as well as, other comprehensive basis of accounting. Depending upon your needs and wishes we will either compile, review, or audit these financial statements. Our firm is in full compliance with TSCPA and AICPA requirements for independent Peer Review. We can also prepare custom financial reports for internal, managerial use, or other special purposes. Licensing requirements frequently include CPA-prepared financial statements: whether compiled, reviewed, or audited. Let our experienced team help you navigate these complex requirements. Our firm offers a full range of tax preparation and compliance services. Many successful business owners, nonprofit executives, and other individuals work with us year-round in order to legally minimize your total tax burden and legally minimize the chance of a tax audit . We can prepare all federal, state, and local tax returns for individuals, not-for-profits, and businesses. 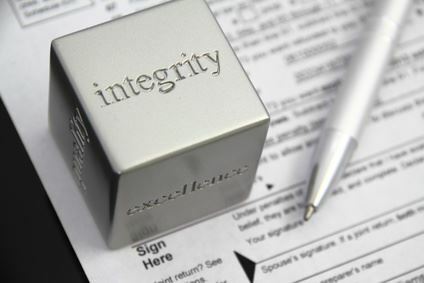 We are experienced in preparation of federal and state estate, gift, and trust tax returns. We can work closely with your attorney and other trusted advisors to help ensure compliance with regulatory requirements while minimizing tax liability. Our firm monitors federal, state, and local tax law changes to keep you out of tax trouble, while minimizing your current and future tax liabilities. We spend many hours between tax deadlines helping our successful clients stay out of "tax trouble" while minimizing their overall tax bill. We can implement tailor-made due-date tax compliance monitoring systems to prevent costly interest and penalty assessments attributable to late filing. Our company offers a wide range of consulting services to help you improve business operations, boost efficiency, and increase your bottom line AND your quality of life. You can count on us to help develop business plans needed for investors, lenders, and others.